The OSC participates in Team NASTAR Sundays during January and February at Labrador Mountain. 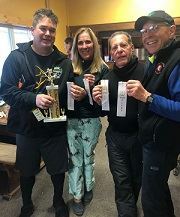 The 2019 NASTAR Race Series consists of 5 races and begins on Sunday January 6. The participant cost for the Series is $70.00. 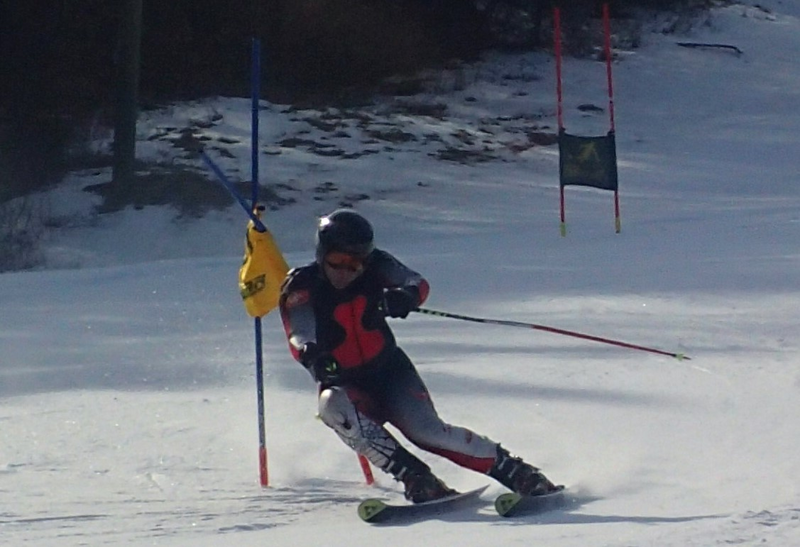 The entry fee includes a full day lift ticket on each race day. After each race, the participants and spectators gather at the Last Run Tavern to celebrate the day and discuss their race results. The OSC provides pizza for the club members. 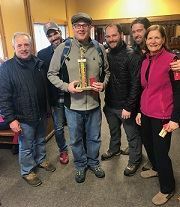 1st Place "Rut Riders" 2nd Place "No Tomorrow" 3rd Place "Snow Blowers"
Developed by Ski Magazine in 1968, NASTAR (NAtional STAndard Race) is the largest recreational ski and snowboard race program in the world. Our mission is simple, to provide fun, competitive and easily accessible racing program that, through the development of a handicap system, allows racers of all ages and abilities a means to compare their race results to other competitors across the country regardless of when and where they race. For more info please go to NASTAR.com. If you want to share experiences with other racers, make suggestions for the program, or ask questions about the series, go to the Team NASTAR Forum and create a post.